But then a band of masked Highwaymen descend upon her attackers, stealing her away. 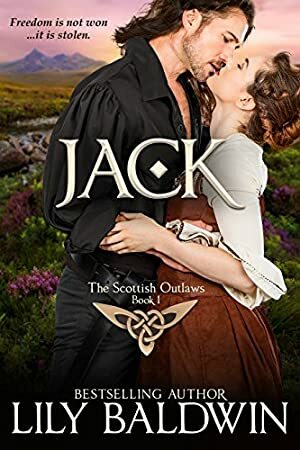 When she finds out her hero is not a knight in shining armor but rather Jack MacVie, Scottish thief and outlaw to the crown, she is terrified that she escaped the clutches of one ruthless gang for another. Only what she discovers is that she has more in common with Jack than she first realizes. They both crave freedom--he from English tyranny and she from her loveless betrothal. But in a world where kings reign and birth dictates one's station, freedom is not won, it is stolen. Join Jack and Isabella on a fast-paced, passionate journey where love rises above convention and brings the true villains to their knees. Jack is an award-nominated novella. The rest of the Scottish Outlaw books are all FULL-LENGTH novels. We started tracking this book on February 27, 2016. The price of this book has changed 10 times in the past 1,149 days. This book has been $0.99 6 times since we started tracking it.